The first word that comes to mind about singing while on a ventilator is FRUSTRATION! 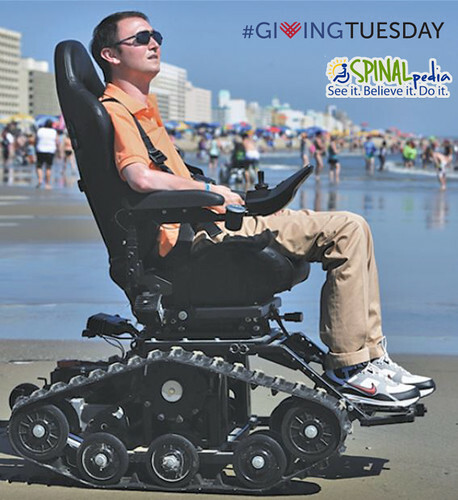 It is frustrating because I have been paralyzed for most of my life. I’ve been singing since I was five years old but my voice has gone through constant changes. I think I finally understand my voice and what I need to do to sing properly and healthier. In order to sing to the best of my ability, I need to adjust some of the settings on my ventilator, mainly the tidal volume and the pressure support. Sometimes I even need to use oxygen from the oxygen tank. I know what some of you are thinking, all this sounds like blah, blah, blah but sometimes it sounds like that to me too. 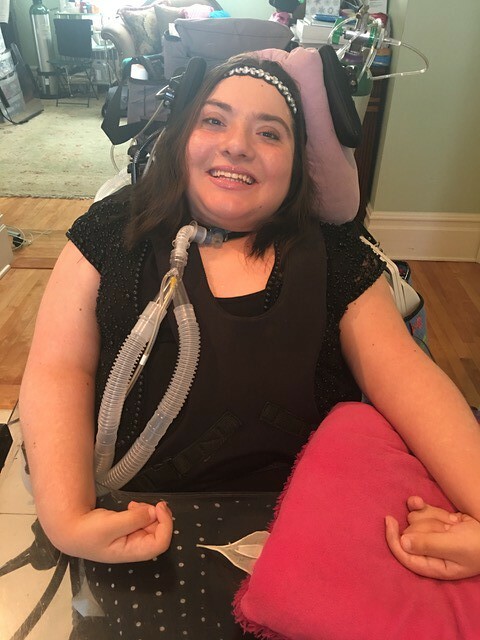 Back to explaining, tidal volume is the force of air that goes into my lungs, my pressure support is how much work my ventilator is doing for me. When I increase the pressure support I can hold the notes longer. When I increase the tidal volume, I can belt better and it feels like there is less strain on my vocal cords. Antonia performing her first solo last December. Last summer I had a diaphragmatic pacemaker implanted surgically into my diaphragm. things is what I need to do to sing without straining my vocal cords. blessed to be able to have the ability and gift of singing. Singing makes me feel FREE! 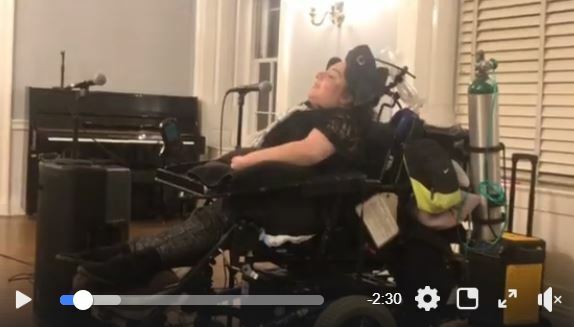 This entry was posted in Guest Posts, News & Updates and tagged antonia sinibaldi, Quadriplegic, singing, Spinal cord injury, ventilator on January 23, 2019 by Tiffiny.